Nomura Holdings Inc is returning to private equity - a move that comes as it seeks more stable income through consulting services and as Japanese firms increasingly look to divest non-core businesses as part of restructuring plans. Japan’s biggest brokerage and investment bank on Wednesday said in a statement it would initially invest about 100 billion yen ($895 million) in the new business. It has yet to identify any specific investment targets. Nomura and other brokerages, which generate much of their revenues from securities trading, are increasingly looking to more stable income streams in an effort to reduce their exposure to volatility in financial markets. Its return to private equity comes three years after it dissolved its previous private equity arm. This followed Nomura’s disastrous acquisition of Lehman Brothers’ Asian and European businesses in 2008, which resulted in six straight years of losses at its international operations. Nomura last made a fresh private equity investment in 2008. Its bigger deals included investments in Japanese restaurant chain Skylark and theme park resort Huis Ten Bosch. It sold its 41.76 percent stake in Skylark to Bain Capital in 2011. 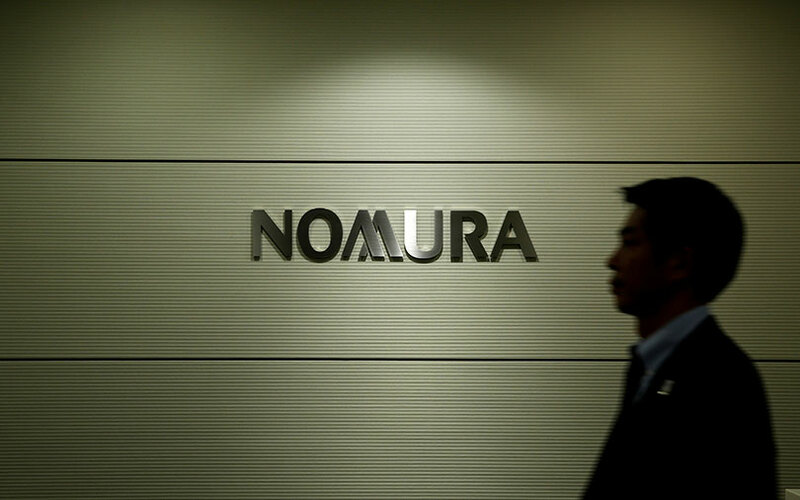 Analysts said that Nomura was re-entering the private equity market in Japan as potential buyers grow willing to take on risky assets a decade after the global financial crisis. Rather than competing directly with large-scale private equity funds, Nomura said it aims to help Japanese companies sell non-core businesses or adjust their investment portfolios. It will also look to service domestic, small- and medium-sized enterprises with M&A opportunities and business succession. As Japan’s rural population ages and shrinks, small business owners are struggling to find successors because their children, who have often moved to big cities, are not interested in taking over. This has led to an increasing number of small enterprises looking to sell themselves to other companies or private equity funds. “This is a rapidly ageing society, the average age of business owners is growing, so they need to unload the operations. Sometimes these are very good operations – it’s not that they are trying to get out, but that they don’t have anyone to take over a well-run small- to medium-sized business,” said Raymond Spencer, an analyst at Moody’s in Tokyo. Nomura said it had not decided the size of potential deals, but that it would aim to take majority stakes in target companies. Initially, it would focus on Japanese companies, before expanding overseas. Opportunities in Japan’s private equity market have surfaced over the past year. Toshiba Corp has agreed to sell its chip unit for $18 billion to a consortium led by Bain, while U.S. buyout firm KKR & Co LP last year paid $4.5 billion to buy a 41 percent stake in auto parts supplier Calsonic Kansei. Just this month, Bain managed to get Britain’s WPP to agree to accept an offer for its stake in Japanese advertising firm Asatsu-DK. KKR & Co also boosted its bid price for Hitachi Kokusai Electric Inc for a second time, seeking to appease U.S. activist hedge fund Elliott Management which has bought into the Japanese semiconductor equipment manufacturer. Nomura’s return to private equity follows its efforts to boost its U.S. investment banking business as it sees more opportunities in the United States or by U.S. companies looking to expand abroad. Separately, Nomura said it would cancel treasury shares worth 4.7 percent of outstanding shares on Dec. 18 - an announcement that helped lift its stock 2 percent in early Wednesday trade.